Companies belonging to two of the country’s largest family-owned conglomerates have teamed up to submit an unsolicited proposal to design and develop the country’s national identification system. In separate disclosures to the Philippine Stock Exchange (PSE) on Tuesday, August 14, Ayala Corporation (AC) and Aboitiz Equity Ventures Inc. (AEV) said their subsidiaries have submitted a 17-year concession proposal to the Philippine Statistics Authority (PSA) the day before. The units are Ayala’s AC Infrastructures Holdings Corp. and AEV’s Aboitiz InfraCapital, Inc. The two partnered with the Philippine subsidiary of global IT firm Unisys for the project. The consortium submitted the proposal under Republic Act No. 7718 (or the Build-Operate-Transfer Law) “for the design and development of a national identity infrastructure solution, which is intended to collect, store, maintain, manage, and authenticate identity information of individuals,” AEV said in a statement. 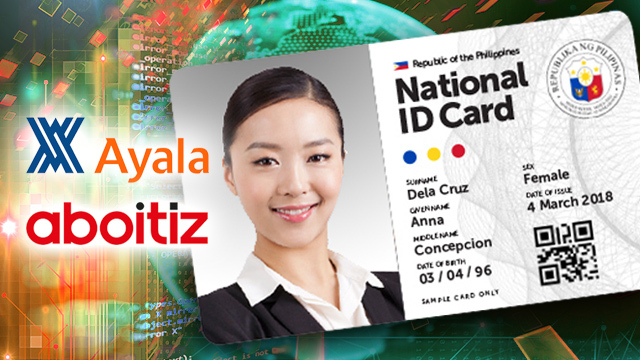 On August 6, President Rodrigo R. Duterte signed the Philippine System Identification Act (PhilSys Act), which aims to create a centralized identification system for Filipino citizens. Among its many uses are for social welfare and government benefits application, tax-related transactions, voters registration, hospital admission, financial and banking transactions and all other government transactions. Related story: Will National ID System End the Long Lines for Birth Certificates? The PSA will issue the PhilIDs, which will contain personal details of a citizen such as his/her unique PhilSys Number, full name, birthdate, address, fingerprint and facial image. The agency will be tasked with the safekeeping of the PhilSys registry, as well as the supervision of the registration process and the maintenance of the data collected through the system. “The 17-year proposal provides an expedient, comprehensive and long-term solution that will enable the government to realize the full potential of its strategic programs by providing a safe and secure identification and benefits payment mechanism for individuals transacting with government,” AC added. AC is the country’s third most-valuable listed firm as of the first half of 2018, while AEV ranks 10th biggest by market capitalization.